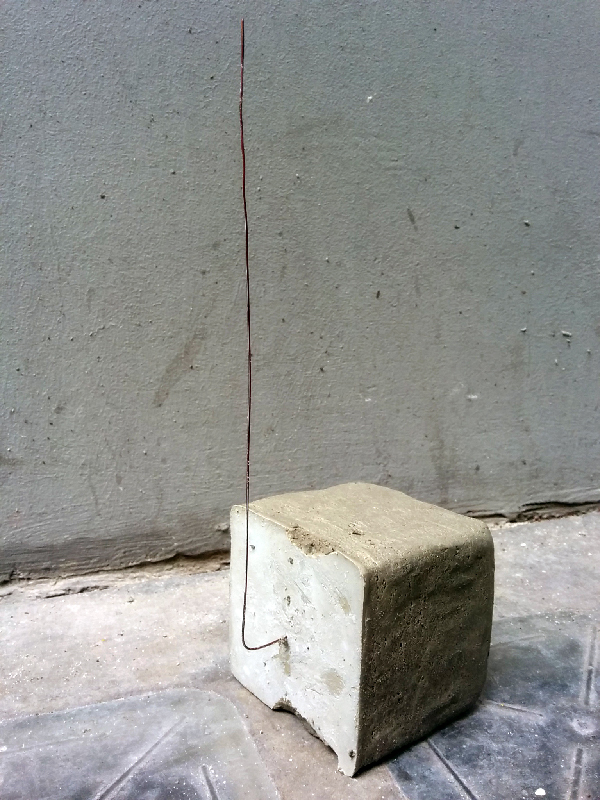 QFM is a collection of FM transceivers embedded in cast cement cubes. Together they form a network of mini-radio devices for modeling network topologies and travel paths of data from one device to other. Each mini-radio device has an antenna, button, and LED. Each device has a push button to trigger packet transmission across the network and an LED to indicate when data has been received. Multiple network topologies, chain reactions and data avalanches can be explored and modeled using the set. It also suits well for teaching about the way networks work. Being created as part of StadtWerkStatt's RadioActive summer residency aboard the Eleonore in Linz, Austria.